You probably know about my addiction to scented candles by now. I'm always trying out new ones and get wildly excited when I discover a new brand; a potential favourite even! My taste in scented candles has changed slightly in the last few years. These days I tend to go for more feminine, grown up scents that don't over power a room but are quite subtle. My sister got me the Voluspa Crisp Champagne Reed Diffuser from the Maison Noir Collection for Christmas and I loved it so much that I wanted to get the candles too. I had never heard of Voluspa before but apparently they have quite a big following in the US. 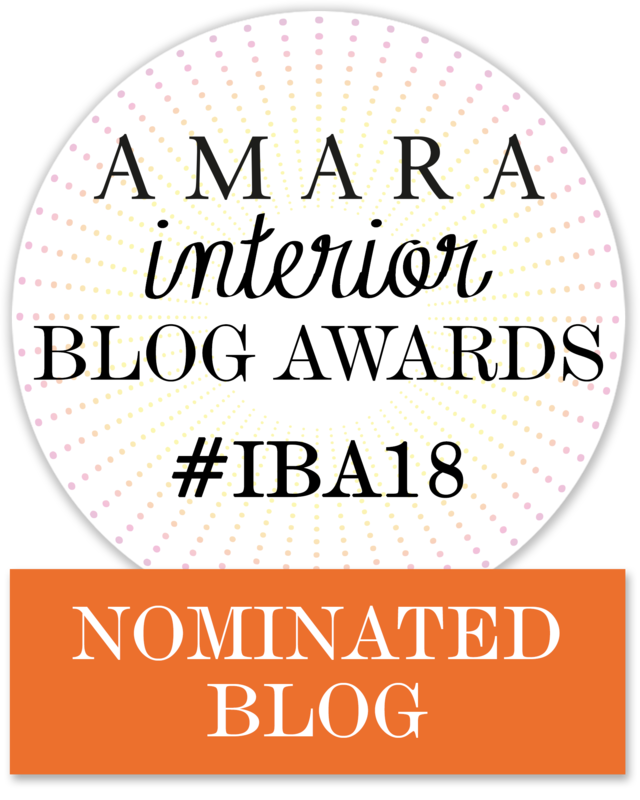 I decided to order the candles directly from their UK website although many online retailers stock them these days such as Amara and Royal Design. You might even find Voluspa in a few shops over here but the selection is pretty limited which is a shame because I would prefer to smell the scents before actually buying them. As a champagne lover I knew that this scent was going to be a big hit in our house. 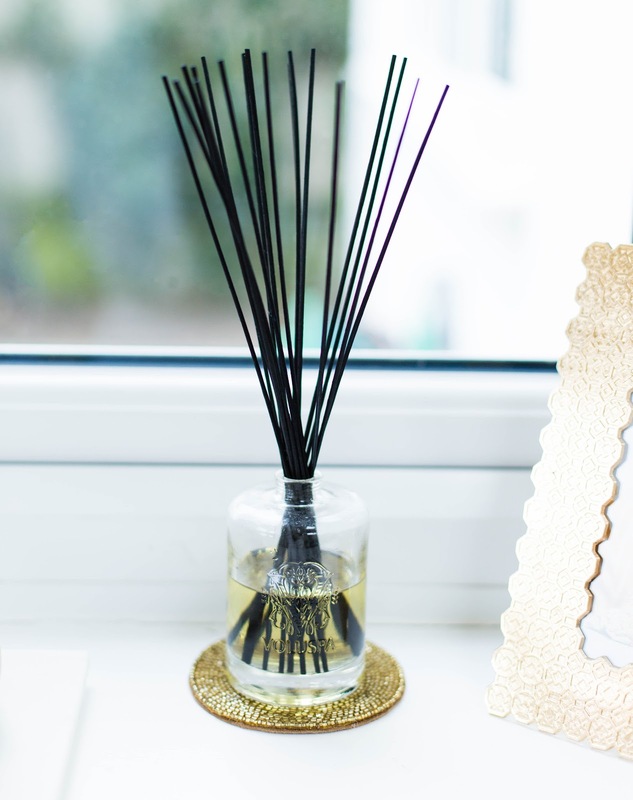 This is my favourite scent diffuser at the moment! It smells and looks luxurious and is actually pretty good value because it seems to last ages. Voluspa website claims it will last for 4-6 months and I was sceptical first but it's still going strong and I've had it since Christmas. 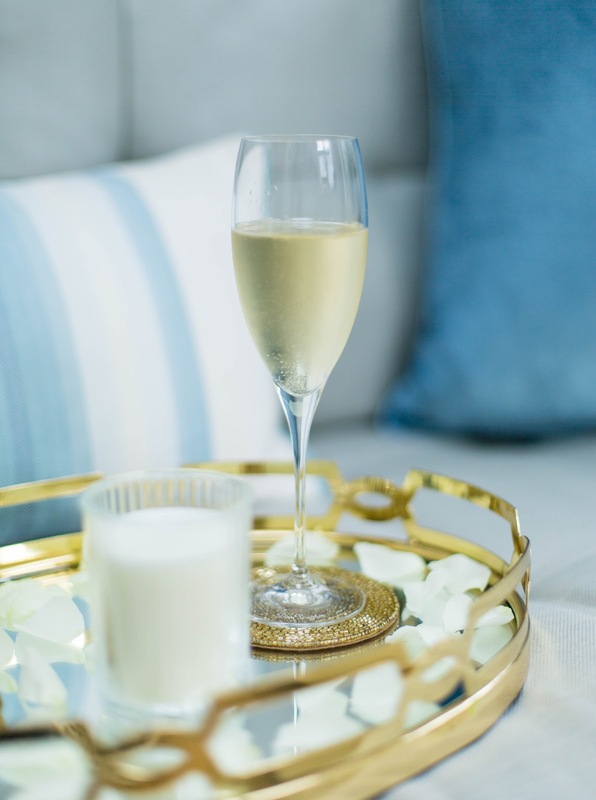 The Crisp Champagne Diffuser has notes of sparkling brut champagne with hints of vanilla and barrel oak. The scent is subtle but just about strong enough for me to smell it when I'm sitting on the sofa in our lounge. Some supermarket diffusers have a horrible, chemical smell and I often get a headache from them. This one definitely doesn't as it smells absolutely delicious. Would I buy it myself? - Without a doubt. 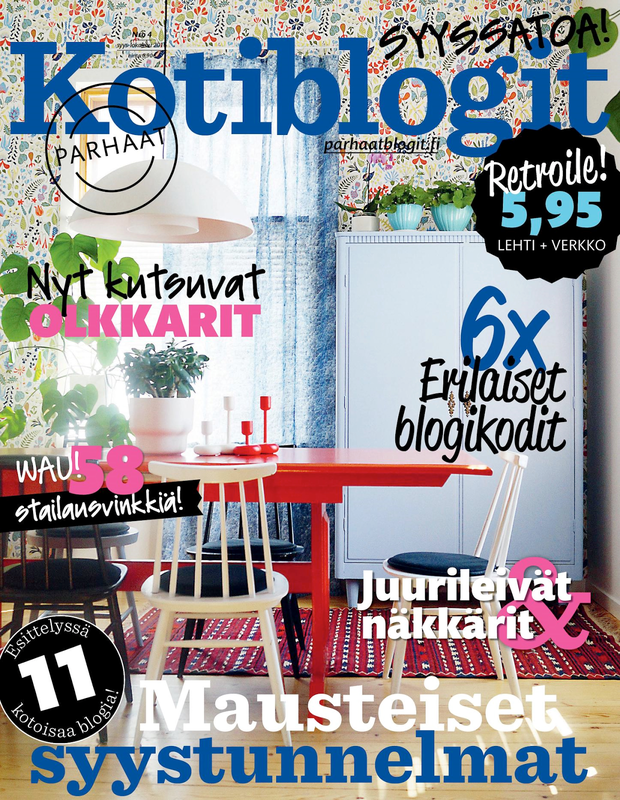 And, I'd get the matching room spray too. 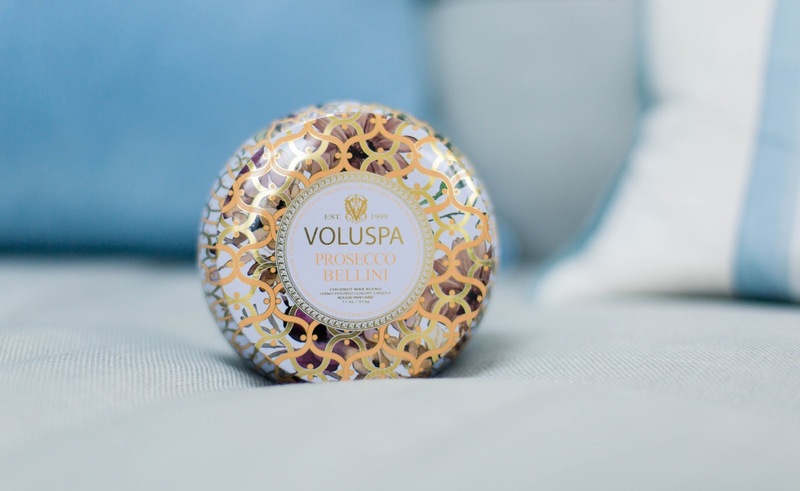 Since Voluspa seem to nail their champagne scents so well I had to try their 2-wick Prosecco Bellini Candle. I mean who doesn't like Prosecco Bellini? The Maison Metallo Candles are one of the prettiest candles out there. 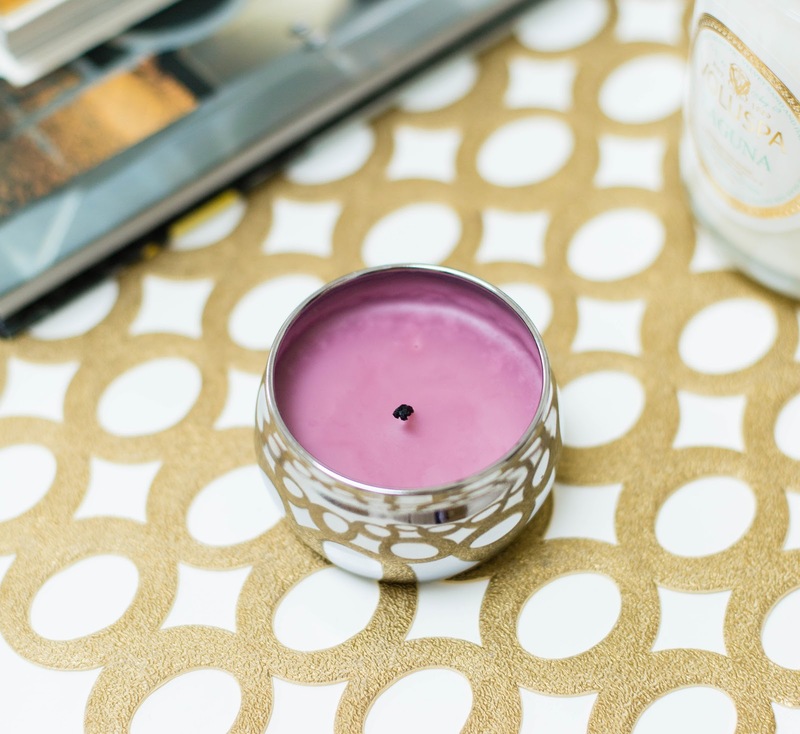 This is a perfect travel candle as it comes with a tight lid that keeps the wax dust free when not in use. The packaging is luxurious and you have several different colour options to choose from to match your décor. This scented candle is definitely highly fragranced. I could smell it the minute I opened the lid. You only need to burn it for a few minutes before a strong scent starts to linger. In fact, if you don't like fruity, sweet smells this might be a little bit too much for you. The coconut wax is incredibly oily to touch which is usually a good indicator that it will produce quite a generous scent. And, it really does! Every time I light this candle my daughter tells me it smells like sunshine and she's right; think of ripe peaches and sweet apricots blended with superfine sugar and prosecco. The perfect accessory for a hot summer day! For 20 pounds it's probably the best value out there. I would be tempted to try a different scent next time though, perhaps the Macaron or Gardenia Colonia candle. 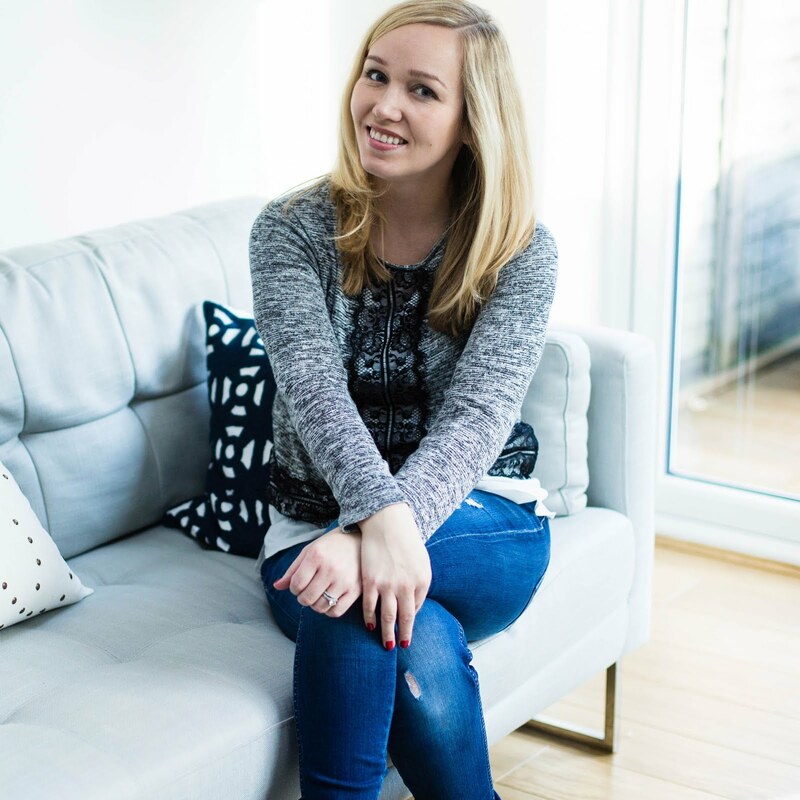 I've been looking for a fresh, new scent for warm summer evenings and I thought the Laguna Luxury Candle might meet my high expectations. The luxury candles are elegant candles with app. 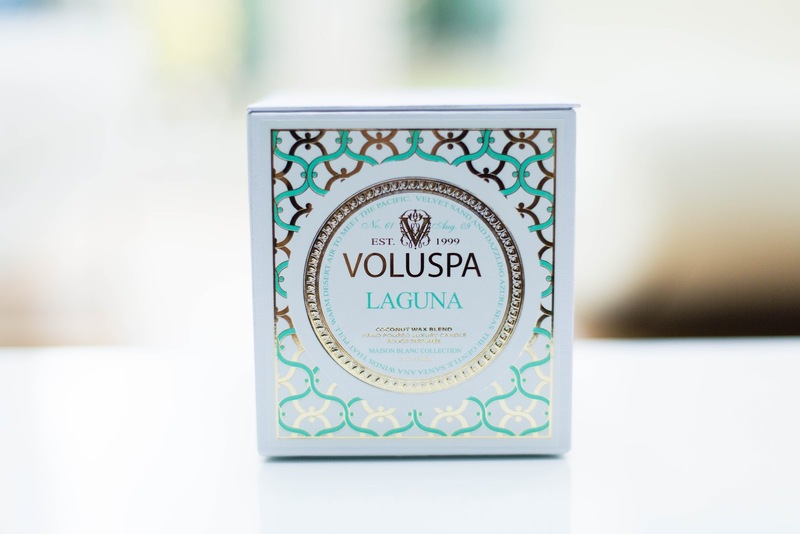 100 hours of burning time and the Laguna scent also happens to be one of Voluspa's most popular scents. My initial thought was that it smelled too 'soapy'. Not a good start to be honest but once the candle was lit it did produce a nice warm smell that reminded me of sandy beaches. The fragrance, with notes of velvet sand and dazzling azure seas, is pretty light and I guess it's a bit too subtle even for my taste. I'm not convinced that the luxury size candles are actually worth it. I think a 2-wick metallo candle will be just as good and the wax will melt even quicker. This candle does look very sophisticated and stylish although I don't think I would go for this scent again. I'm always a little sceptical when I buy mini candles. Do they really give as much fragrance as regular size ones? I guess some do and some don't. I wouldn't expect to use a mini candle in a large open-plan area though. 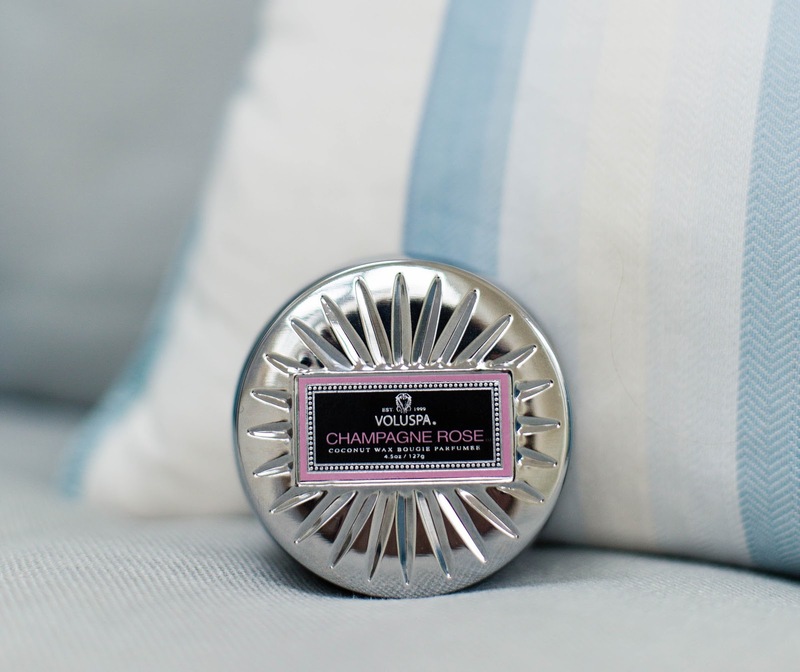 The Champagne Rose Mini Candle is part of their discontinued collections hence it's 40% off at the moment! It's a super feminine scent with the notes of brut rose champagne mixed with berries and rose pedals. Due to it's size I wouldn't use this candle in a very large room. 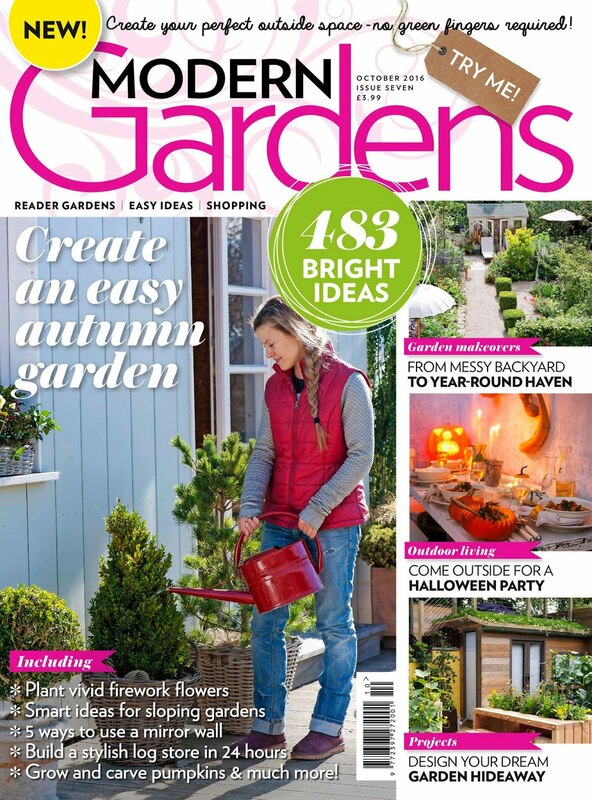 It's ideal for smaller spaces like bedroom or bathroom. It's actually my favourite bath time candle at the moment. I love having a bath but burning a candle for 2.5 hours is not always practical when you have one. Since this is a small candle, the wick melts quicker and you only really need to burn it for an hour or so for the wick to entirely melt. It's quite a strong scent so you only need to burn it for a short period to get the room smelling gorgeous. 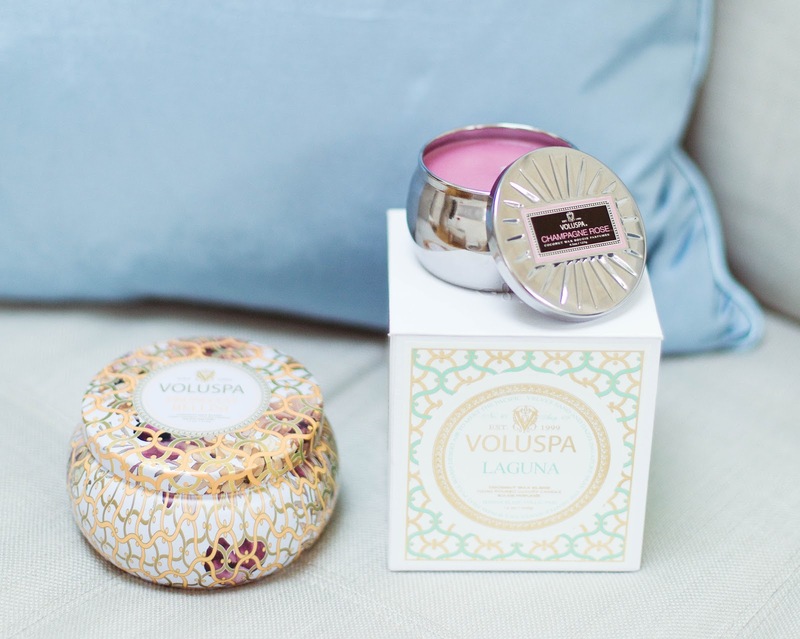 I think Voluspa candles are definitely good quality and worth the money. They are quite different from everything else that I have tried and the variety of scents is just amazing. Also, one thing that really made these candles stand out for me was the style and the glamorous packaging. I was almost more impressed by the looks than the actual scent. 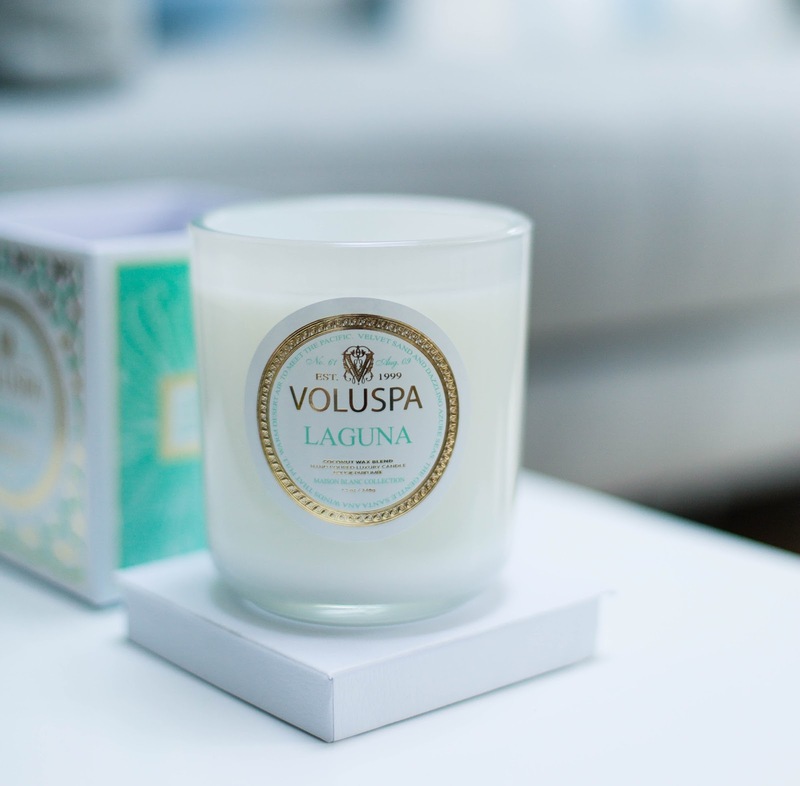 Voluspa candles come in all shapes, sizes and colours; there's definitely something for everyone. 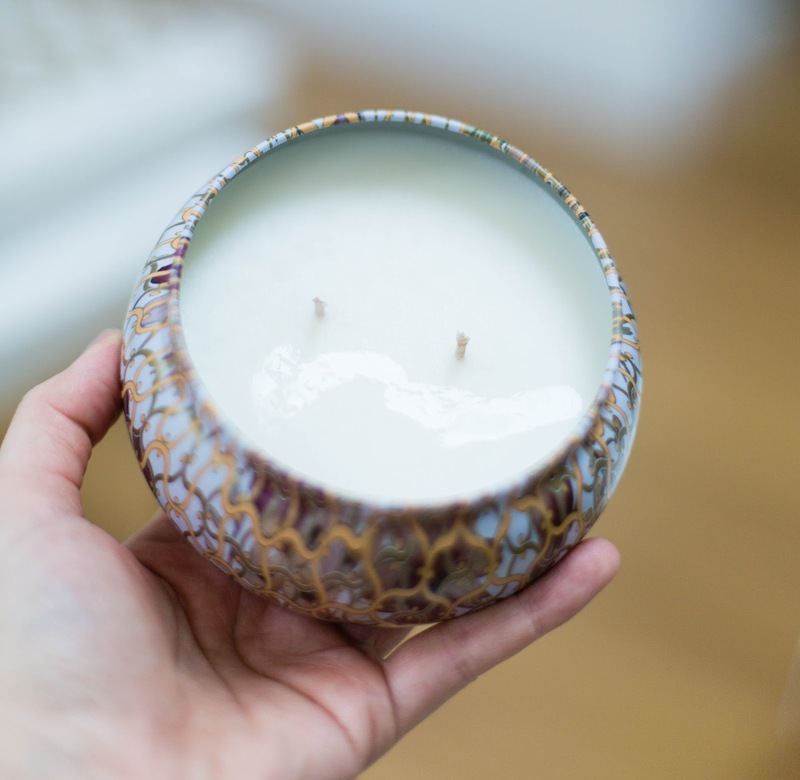 They make great decorative accessories afterwards but the scents can be quite a hit and miss so it's a good idea to get a mini candle first before investing in a larger one. What's your experience with Voluspa? Do you have a favourite scent?